After the game between Muroya and Nakamura some of the players made a simultaneous exhibition to the attendants as the last performance of the day. I decided to went back to the hotel for rest because I was tired since I arrived 5 o’clock in the morning with the night bus from Tokyo, but, only 30 minutes later I went out to travel around the city. 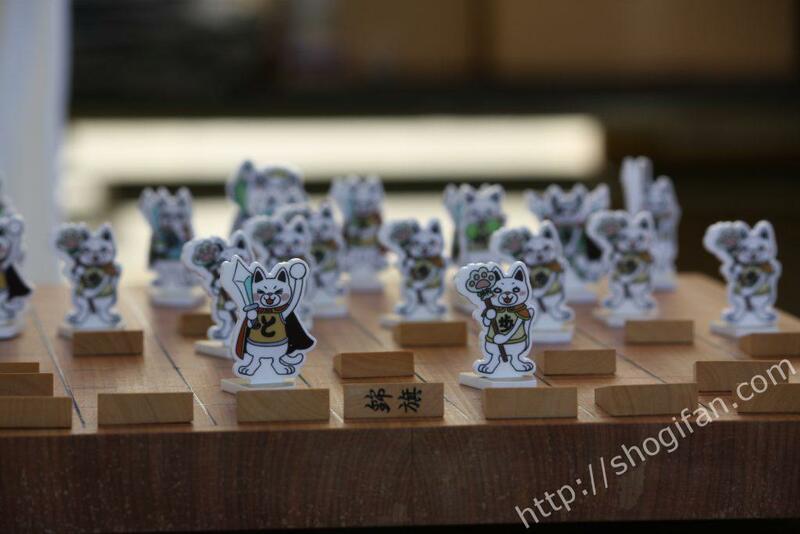 I visited the exposition of shogi pieces near the train station. 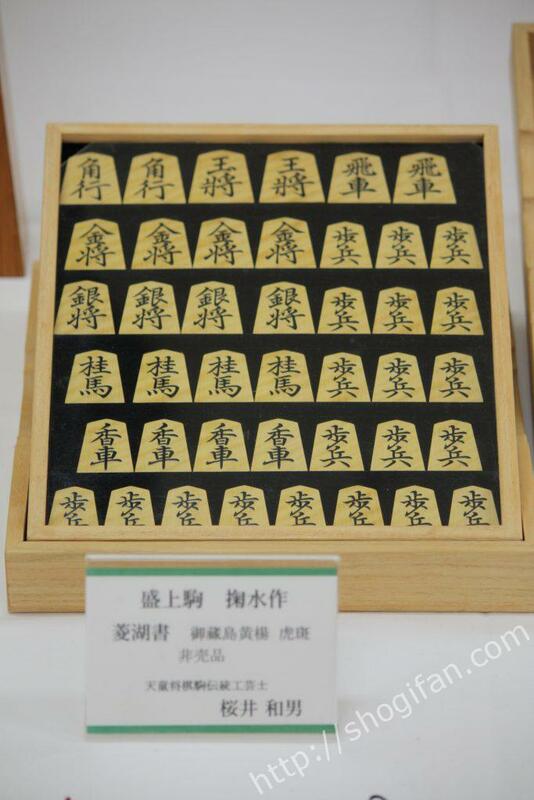 There I found an old lady that remembered me from the shogi pieces festival in Tokyo from last year were I bought a shogi board and pieces. I had the opportunity to talk with a famous craftsman who makes beautiful pieces. Some of his artworks have been used in very important games. 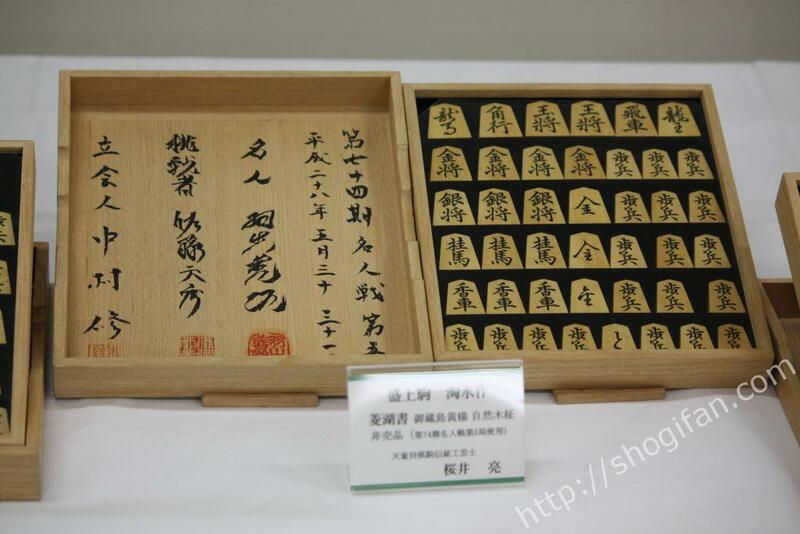 These pieces were used in the last game of the Meijin title of last year between Satou Amahiko and Habu Yoshiharu. 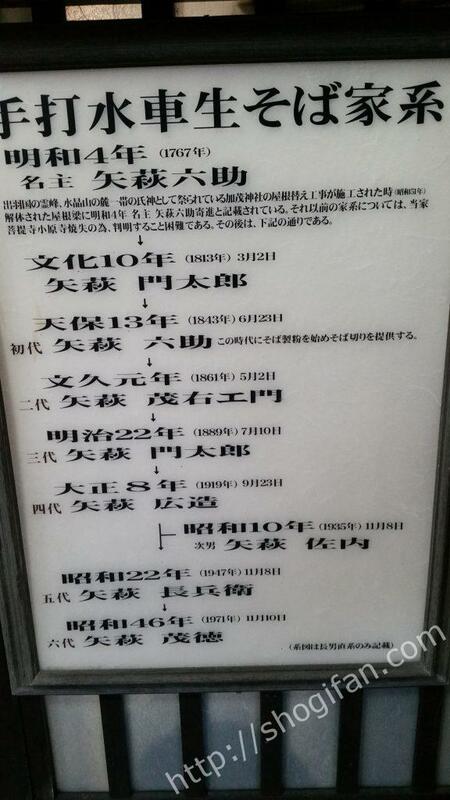 These one’s where used on the last scene of the movie “March comes in like a lion”. Kiriyama Rei (played by Kamiki Ryunosuke) faces the Meijin Souya Touji (Kase Ryou). 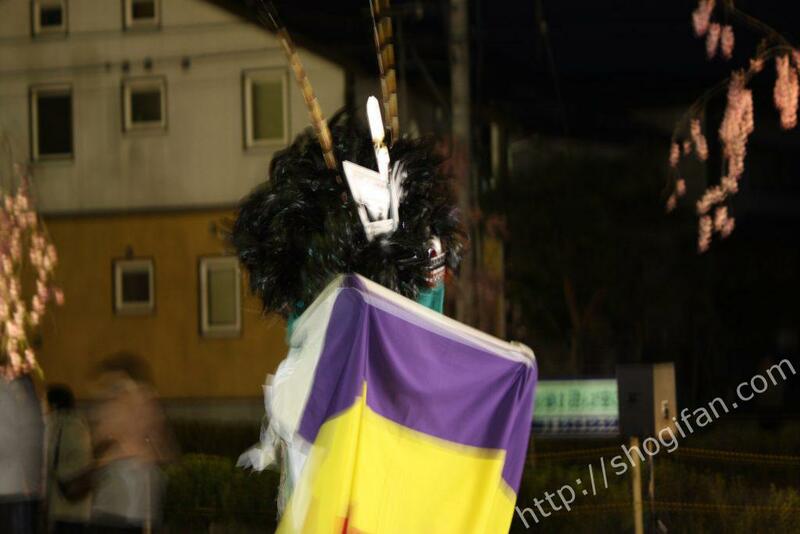 There was a performance of a dance typical from the north of Japan called dance of the lion. 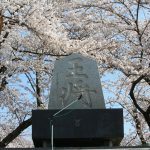 Where to eat in Tendo? 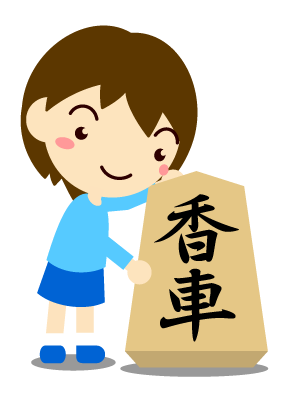 The best restaurant in Tendo is the Suisha-soba (水車そば). 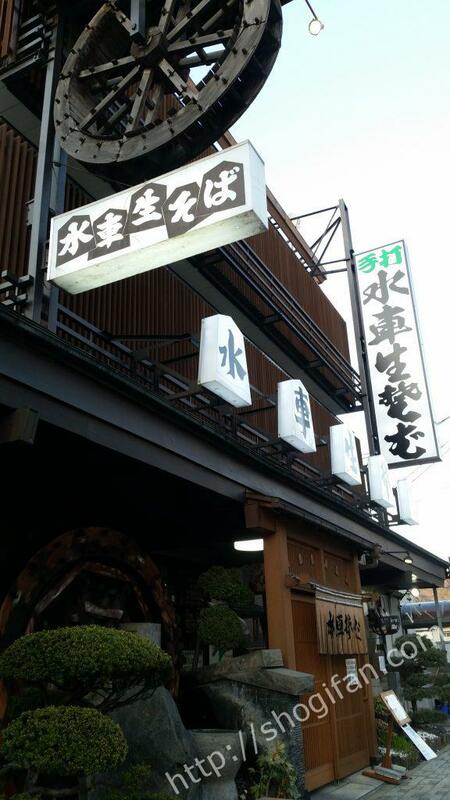 This restaurant was founded 156 years ago, on 1861, and has been run by generations of the family Yahagi. The most famous dish of this restaurant is the tori-chuuka. The noodles are the same as for a ramen and the soup has a very light flavor. 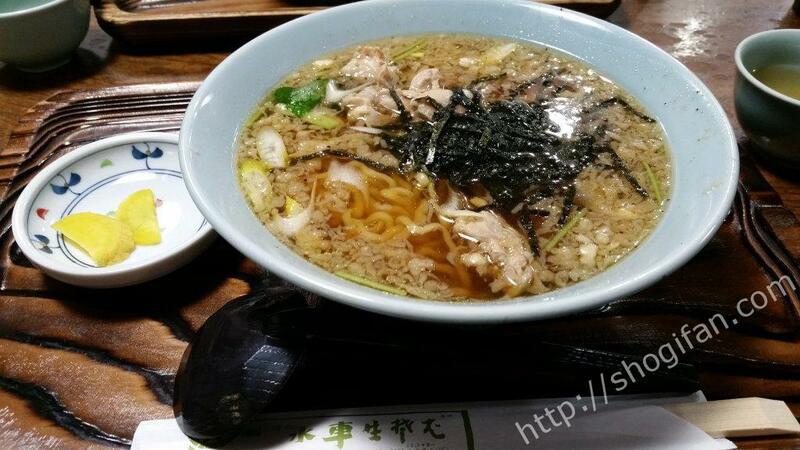 Ramen usually uses pork meat but this ramen uses very tender chicken meat that fits with the soup. For topping, it uses seaweed, tenkasu (bits of fried tempura batter), Japanese leek and a bit of pepper make it a little spicy. 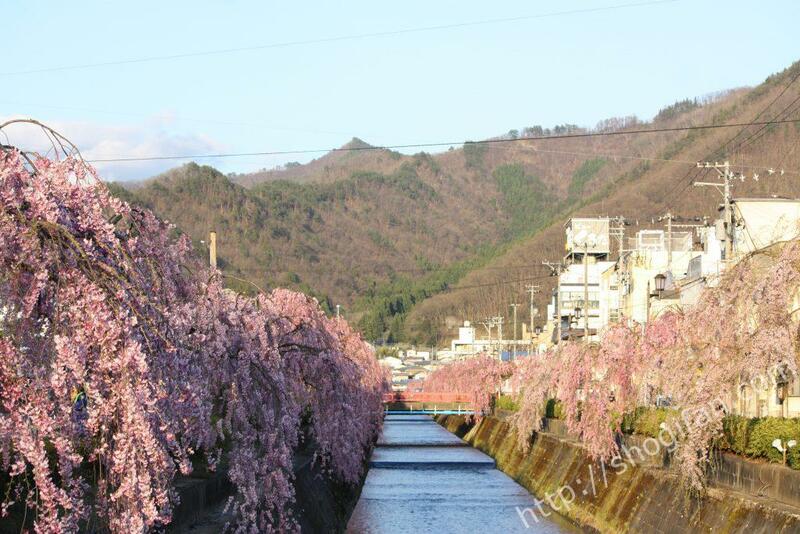 At both sides of the Kuratsu river of Tendo there are cherry blossoms trees and on this season were fully bloomed. 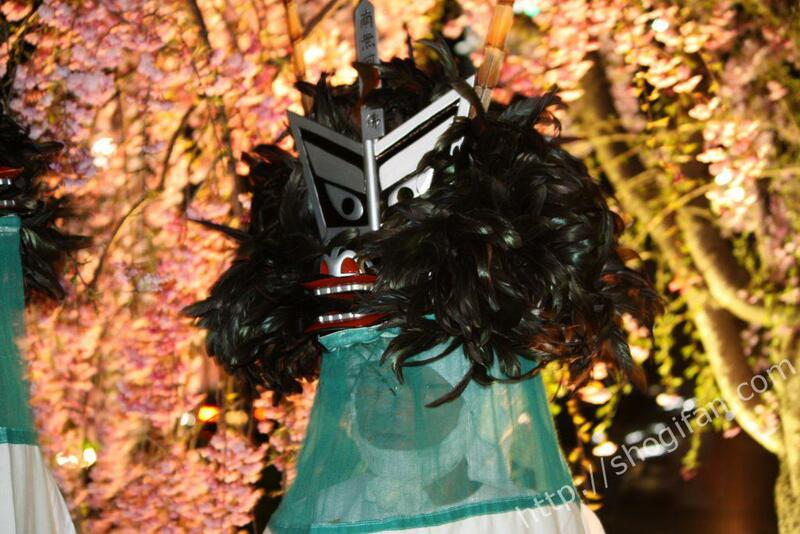 At night there is a light-up and it becomes a beautiful scene. 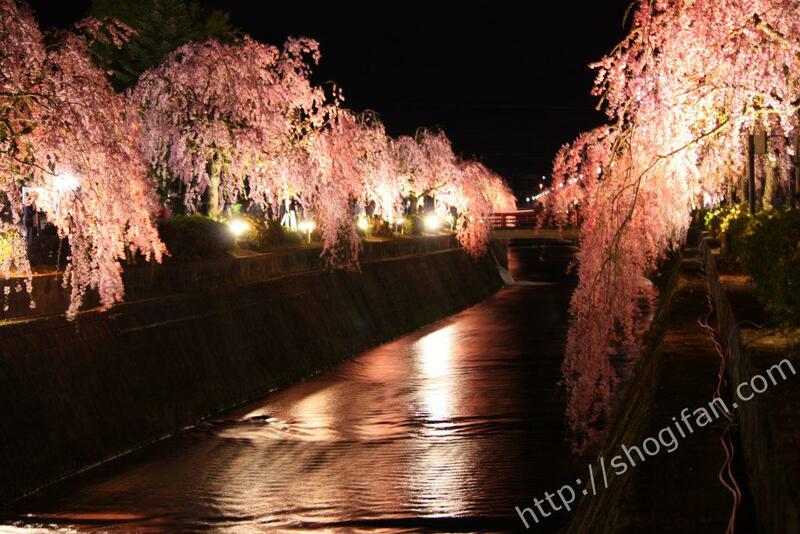 This type of cherry blossoms is called shidare. The Kuratsu river on daylight. Many people gather on the bridges for taking a photography. On park near the river, there was also a festival with many food stands. 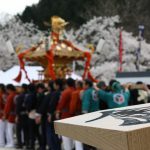 Human shogi matsuri. First day morning. 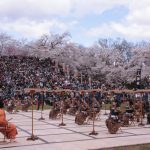 cherry blossoms, matsuri, ramen, sakura, shogi, tendo, yamagata, ラーメン, 天童, 将棋, 山形, 桜, 祭り. Bookmark.